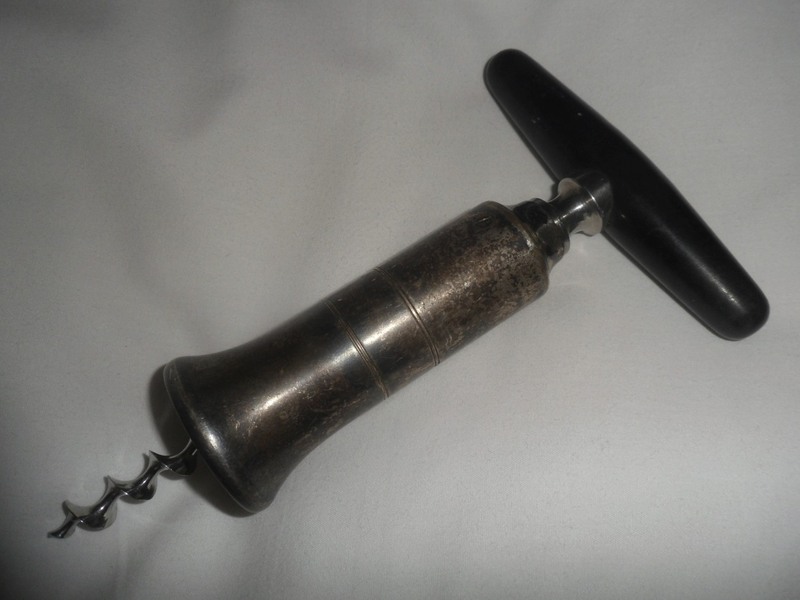 The second round of the most recent ICCAuction ended yesterday, and we now have a new leader in the highest price for a corkscrew on the auction website. Since one Syroco collector has asked what Syrocos might be available from the collection for sale or to trade, here is a gallery of those that might find their way into your (or his) collection. 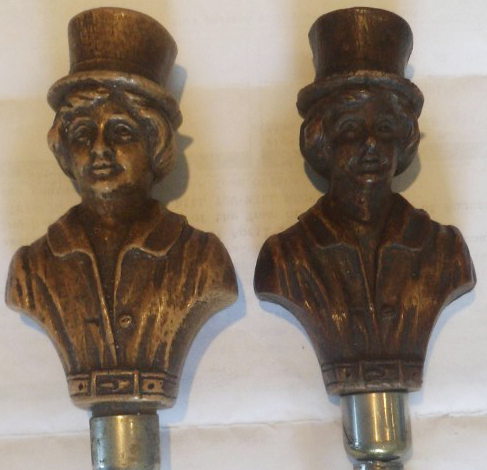 As mentioned yesterday, there are a bunch of Syroco corkscrews which have been added to the collection–and to other people’s collections–some of these have already been shipped off. However, in going through the collection, I decided to compare the Syrocos that I already have with those that recently arrived. 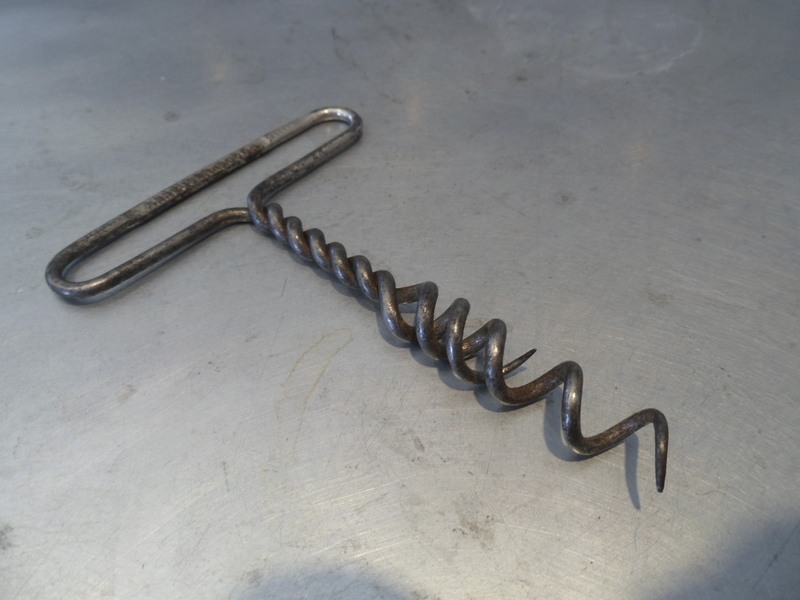 And, in looking at the Copperfield corkscrew, he looked…well…like he had put on weight since the time I got mine some 8 years ago. 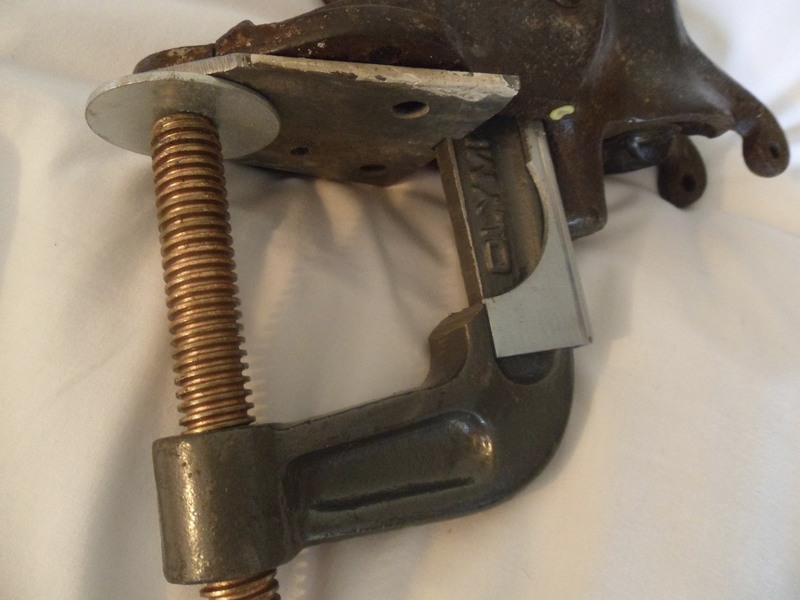 While, I don’t have calipers–or a micrometer–handy, there is definitely a size difference between the two. He is thicker. He has broader shoulders. His hat is bigger around, and his facial features are a bit wider. In looking at an additional Copperfield–which will soon be heading to Tucson–he too is the thinner version. That said, the thicker one is the direct pull variety, and the thinner ones are both bell assist. If any of you have a direct pull Copperfield, is he thick or thin? Or alternatively, if any of you have the bell assist version, does he exist with the thicker wider features? If you do, feel free to drop me a line. 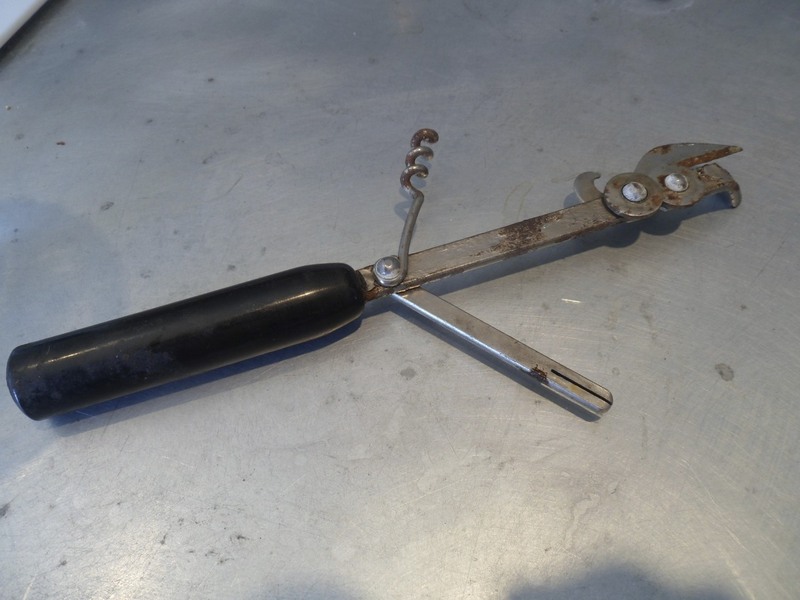 Last week, just before heading off to the JFO, I received an email from a collector who was looking to divest themselves of their Syroco corkscrews and openers. We discussed price, and after paypal funds were transferred, the collection was shipped to the island. Of course, it sat there unopened for a while, as we had company coming for dinner. 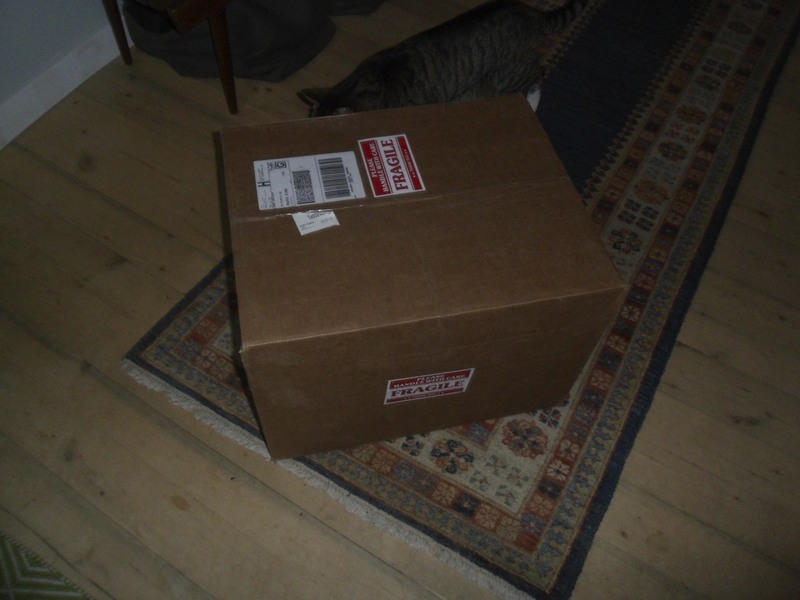 However, after the company departed, over a glass of wine, I tore into the box to see what treasures had been delivered. That was quite the box! Several of these have been spoken for already, and will soon be making their way to various collections around the world, and a few will stay here on the island. Yesterday afternoon, I got back from Las Vegas–with corkscrews in tow. We meandered up the coast yesterday, and hopped on the new boat, and made it across late yesterday. well, not fierce really, but they will be there. Speaking of helixes, there is a new record sale on the ICCAuction. 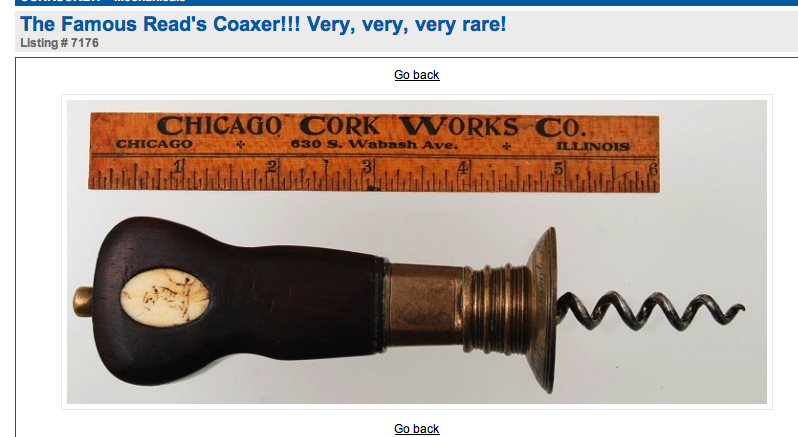 Yes, over this past weekend the first round of auctions ended, and a Read’s Coaxer was sold for $ 35,555.00 !!! Day two of the JFO started with me heading off to pick up a rental car so TC and I could hit some of the local—and not so local—antique shops in the area. And, given that we were located about 5 miles from the airport, where the rental car was to be picked up, I figured…what the heck, why not run there. I stayed the course, and hoped that any legal authority would either ignore the transgression if they saw me, or better yet, I would suddenly have the power to become invisible. Anyway, I did manage to get to the car place undetected, well, until I wanted to be detected by the rental agent. And, shortly thereafter was heading back to the hotel to pick up TC. He was out late that night, and there is even a video of him kicking up his heels. Feel free to email him to see the video. 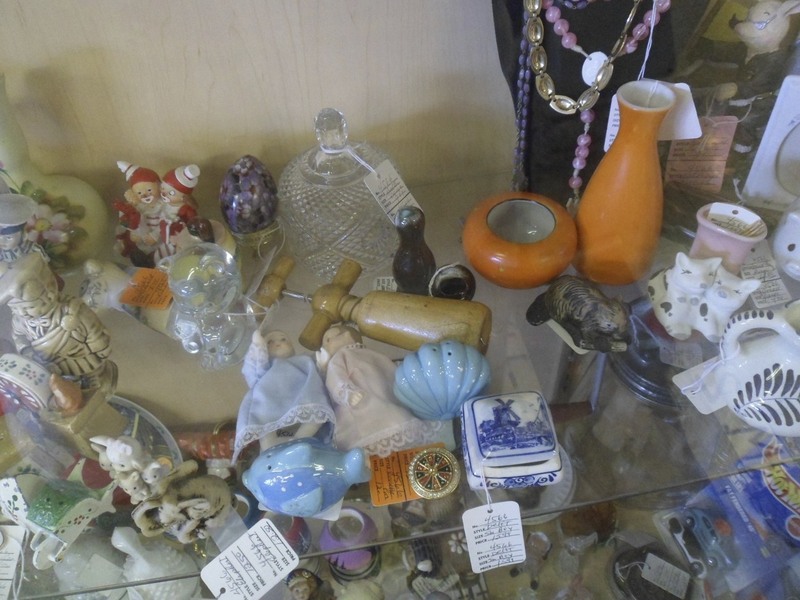 After brief room-to-room, we grabbed breakfast, and then hit the various antique malls and shops in Las Vegas. Not much to be had, or worth buying rather. 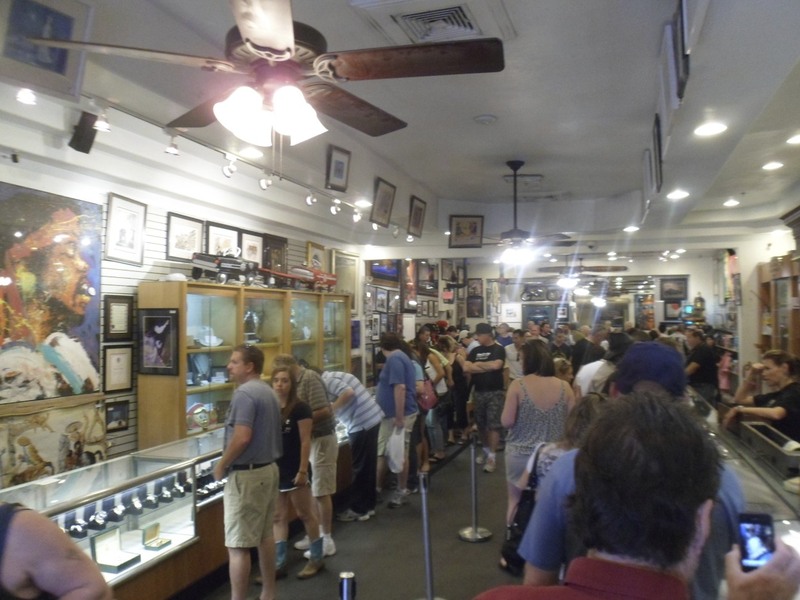 In between the various shops and malls, TC stopped by to visit Rick, Corey Old Man and Chumlee—none of whom were present–but their shop was slammed with customers. 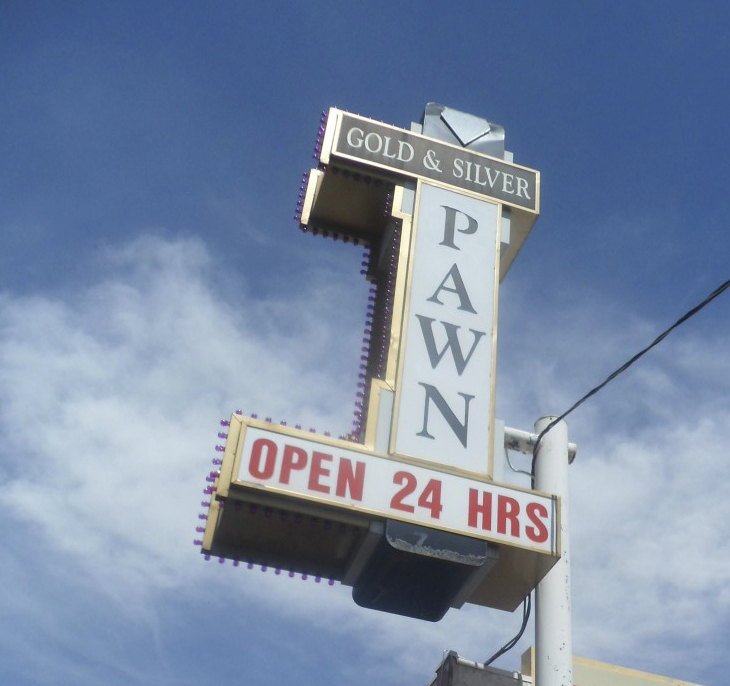 We didn’t find any corkscrews there either, and I opted against buying any I heart Chumlee merchandise. 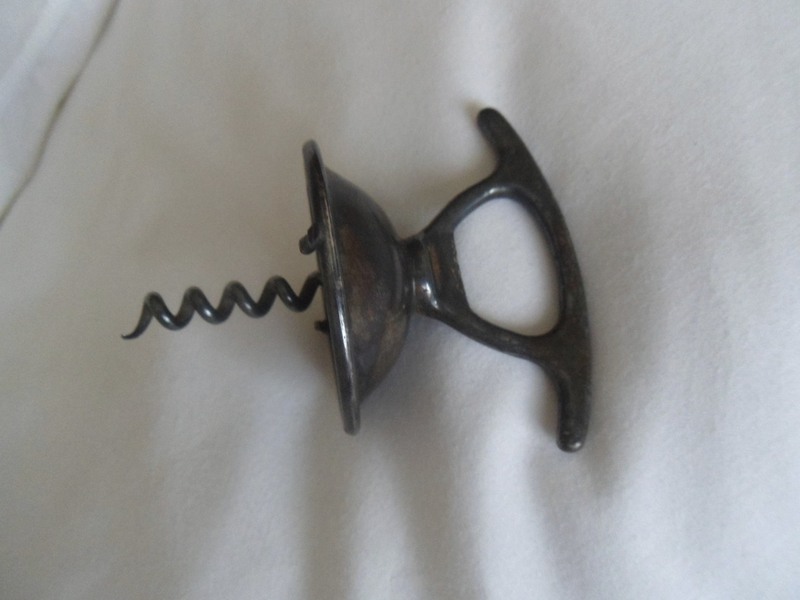 However, this morning when I was headed down for coffee, one of the JFOer’s alerted me that his room was currently open, and he has corkscrews! 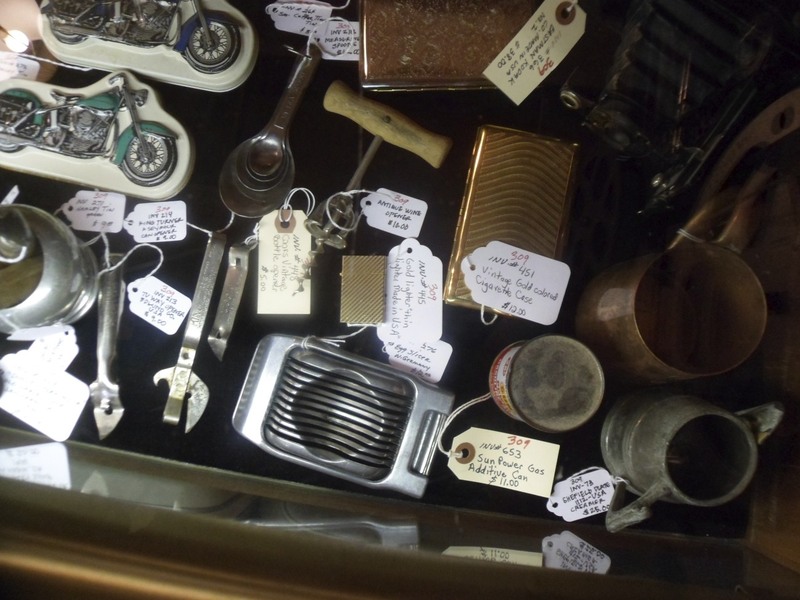 Within short order, I was inside the room–with several others rifling through the tonnage of bottle openers, can openers, and corkscrews! Out of the 350 pounds, I only made a very minor dent. Picking up a very nice one for me, and a bunch of flashes for Tommy. All for a very very very nice price. Tomorrow is the show, which will be open to the public, and you never know what might also turn up. And, you have to look forward to TWJ’s fire sale at the end of the day!!! I arrived in Vegas on Tuesday night, but given the timing of my flight, and the three hour time difference, I opted for a simple nosh and some sleep. Of course, being on East Coast time, meant I was up and raring to go at about 3:00 in the morning. However, I decided to refrain from going out and trying to grab a cup of coffee (not easy to find in Vegas at this particular hour) and start my day in the wee hours of the morning. After my arrival, I ran into JC and Tipped Worm Johnny, and within short order the first corkscrew deal was done with TWJ for a Davis patent with advertising for GERK Brewing. For all of you wondering, I did find some coffee. 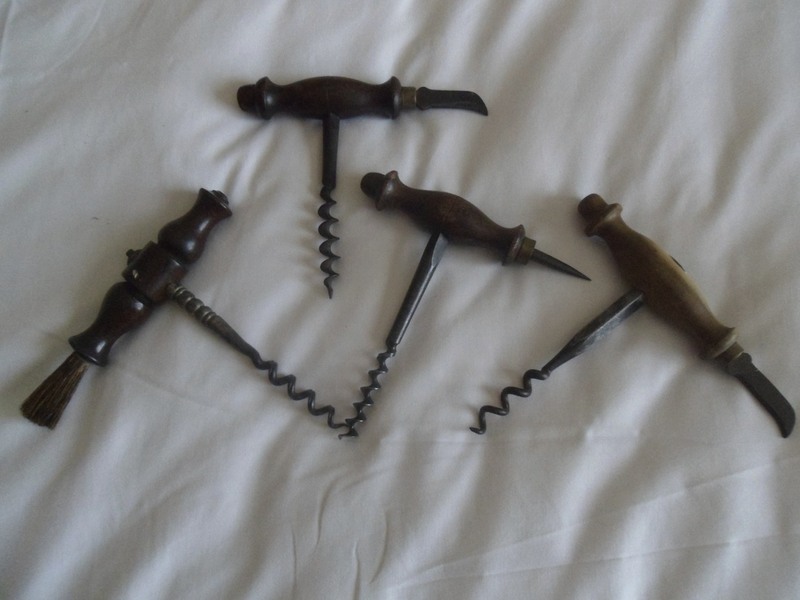 I also picked up a couple of interesting multi-tools with corkscrews, and 4 T handles with blades or spikes, from JC. A few of these are marked. 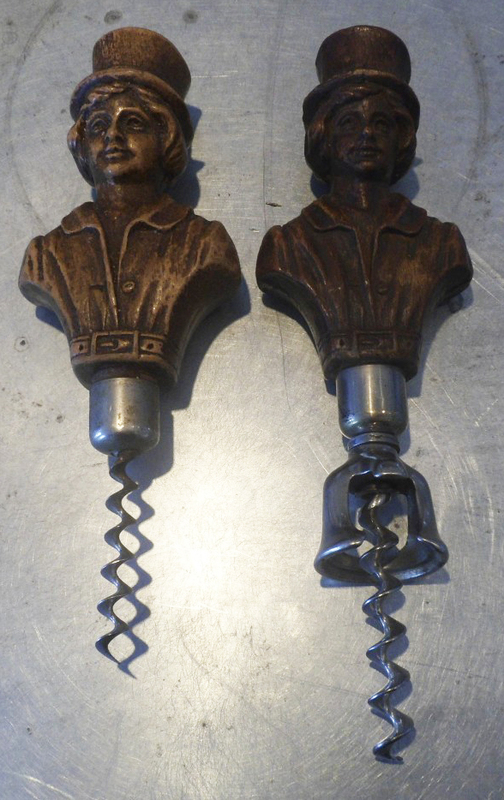 These definitely some handsome corkscrews. 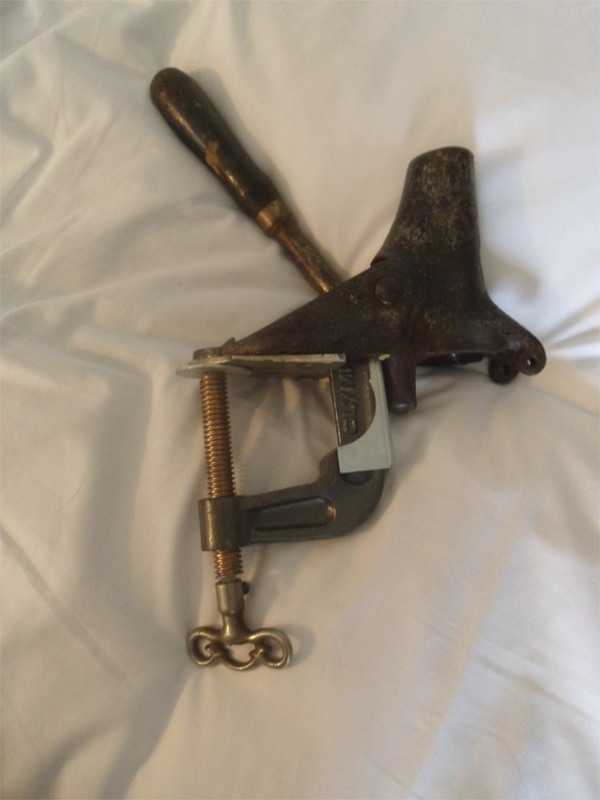 TWJ were still negotiating on another corkscrew, and while we were, he pulled out an interesting Mumford patent. 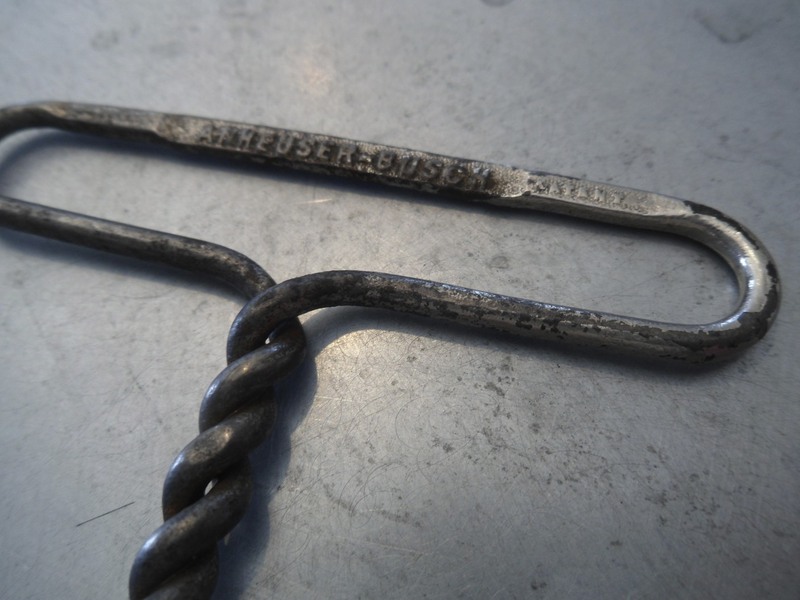 It looks to have shorter prongs, but these haven’t been broken. And, what is even cooler is that is is marked under the corkscrew as opposed to around the collar. Marked PAT MAR 4, 79 PATS. PENDING, it makes it a bit earlier than those that are marked on the collar. Definitely a nice piece to add to the collection, and being a prong puller, no worries about a tipped worm. 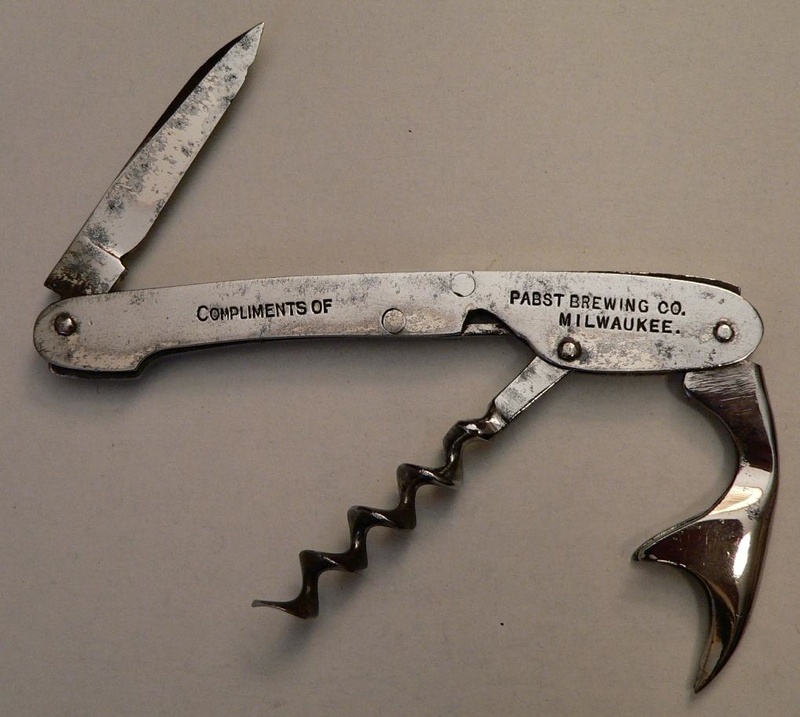 As it happened, by evening’s end, another deal was struck between TWJ and I, and an another Davis will be added to the growing collection, this one with a blade and advertisement for Pabst Brewing! 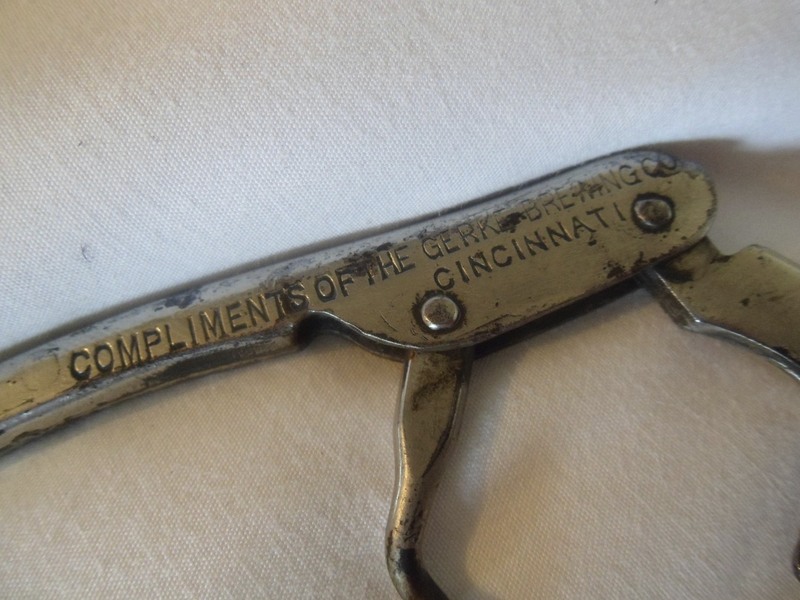 Of course, I will still be on the hunt for Detroit/Davis/Puddefoot corkscrews, as well as others, but the deals, purchases, and trades, definitely made for an interesting day one. Speaking of, Tommy arrived around midday, and in short order was making deals as well. I have already lost track, but I am thinking he picked up 4 zig-zags, a kisply, a pair of ladies legs, 9 flashes, a korkmaster jr, an M-73 slider, and a champion bar screw. There are probably others. Speaking of Bar Screws…I was tempted to pick this one up, just for kicks. However, to this point, it remains in one of the other JFOer’s room. Tomorrow I hop on the boat, then hop in the Mini, then hop on a plane, hop on another plane, then take a cab, and will arrive at my hotel in Vegas for the Just for Openers convention. Actually, I am at a different hotel for the first night, but will arrive at the convention the following morning. So, after an additional cab ride, I will be at the meeting. I have packed up a bunch of openers, and 12 different Davis/Detroits for a little show ‘n’ tell with TC, who will be arriving shortly after me. I am sure there will be some trades, some buys, and hopefully some discoveries!!! News from the meeting as it happens! 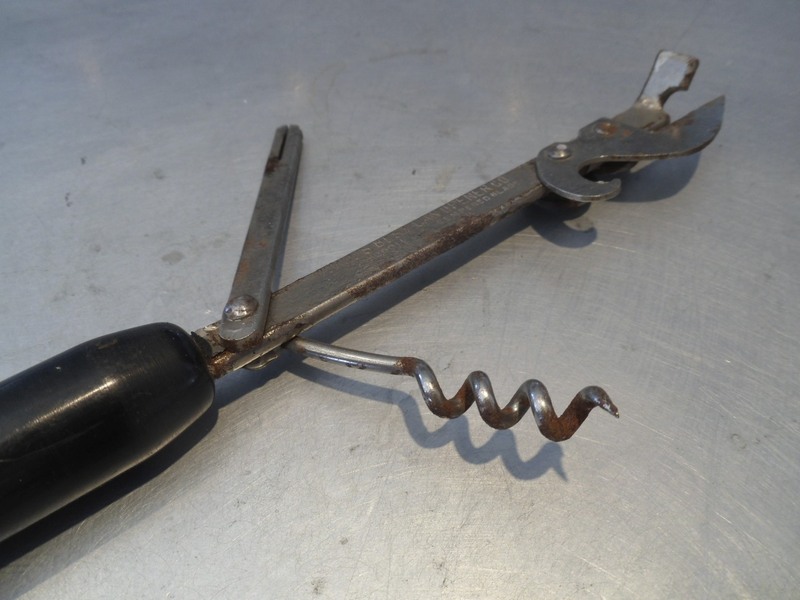 Several weeks back, an acquaintance on the island, explained that he was cleaning out someone’s house and found a “…corkscrew with a head that comes off.” And, proceeded to explain it was in the shape of a man, wearing a jacket. Syroco or Anri thought to myself, and the guy promised to bring it by, or at least put it in his truck, so he could show it to me the next time he saw me. So, while I was setting up the wine bar the other night, I looked up to see the the aforementioned acquaintance standing outside the window–with corkscrew in hand. 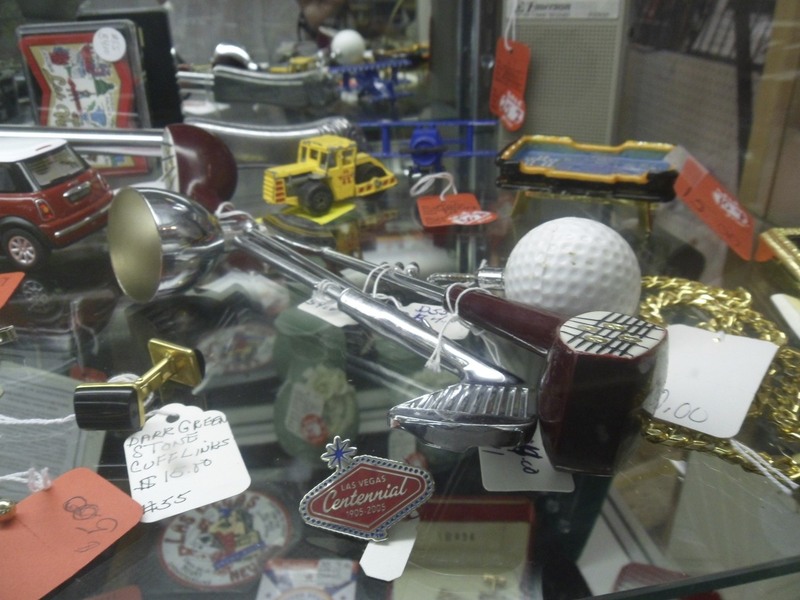 After entering, he handed me the corkscrew, and upon looking at it, we negotiated a fair price. It was indeed Anri, and we were both happy with the deal. And, that evening, the little Anri guy helped me tend bar for the evening. 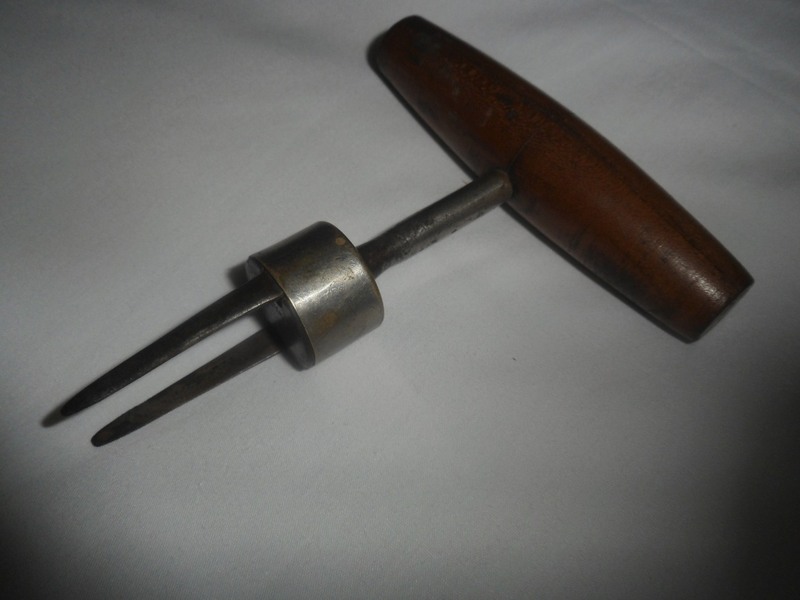 Always nice when someone keeps you in mind, when they come across an antique or vintage corkscrew, and while not a rare corkscrew in the grand scheme of things, it is pretty cool. And, he has an Anri sticker under his feet. 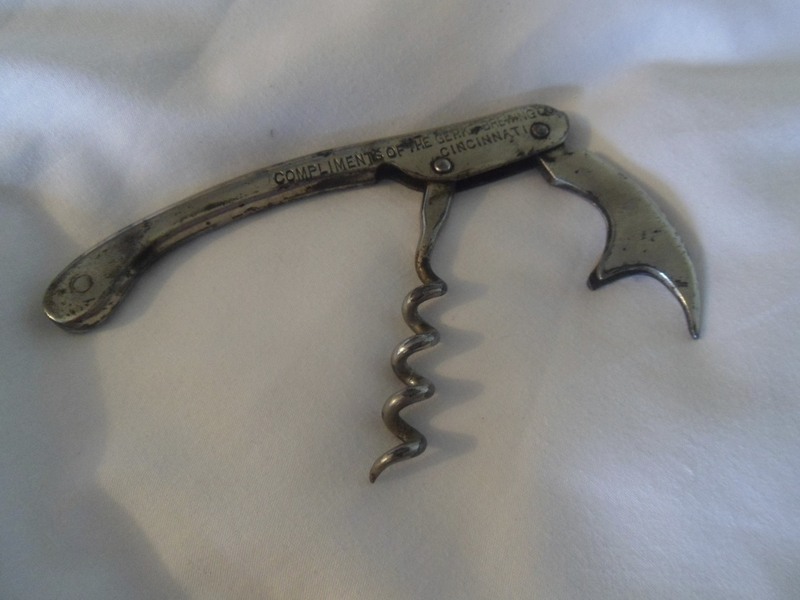 As mentioned the other day, there was a lot of corkscrews that looked that it might have a Anheuser-Busch marked double helix corkscrew in and amongst the other corkscrews in the listing. But, without any response from the seller, I decided to take a chance. And, as luck would have it, when the box arrived today, it was indeed marked! Definitely a nice piece for the collection. 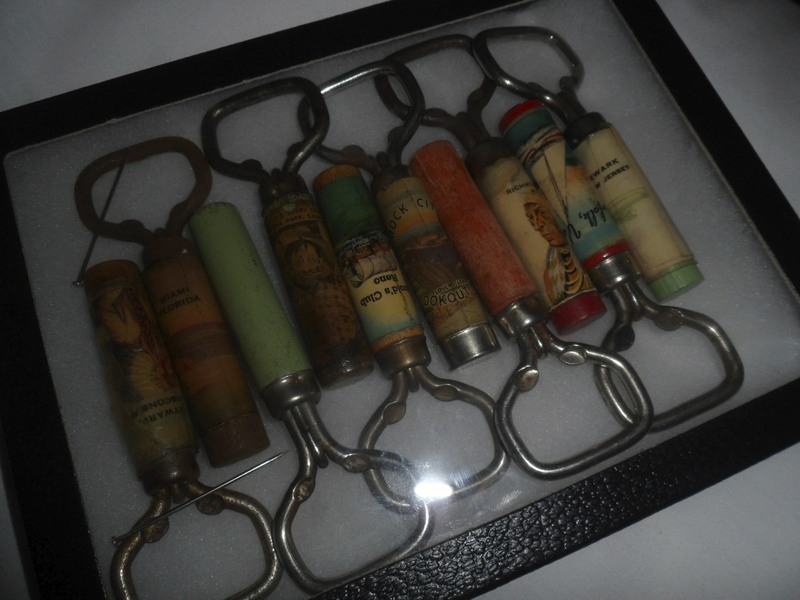 Still, there was something else in and amongst the openers and corkscrews that were all boxed together. And, this is equally exciting–well, maybe not equally, but still cool. 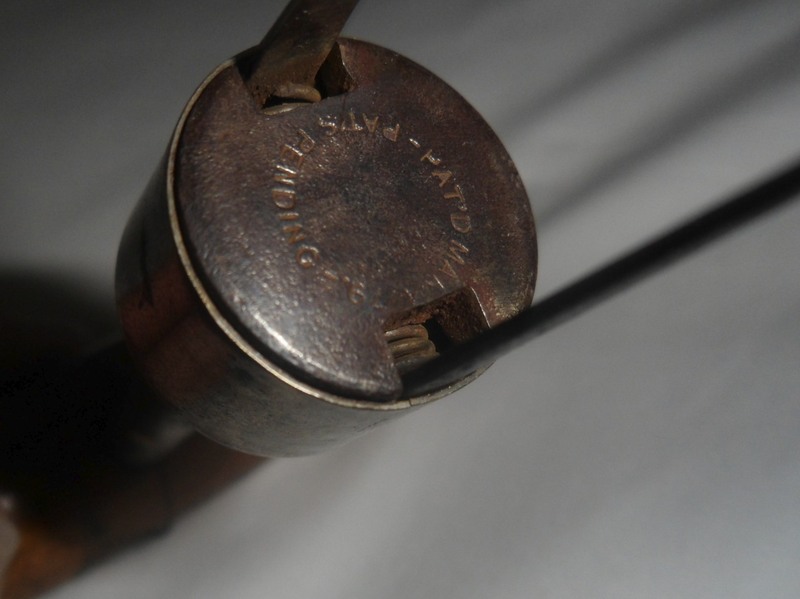 One of the openers in the box happened to be marked with a patent date–the marking is not common, the opener is not that common, and there is a corkscrew connection.